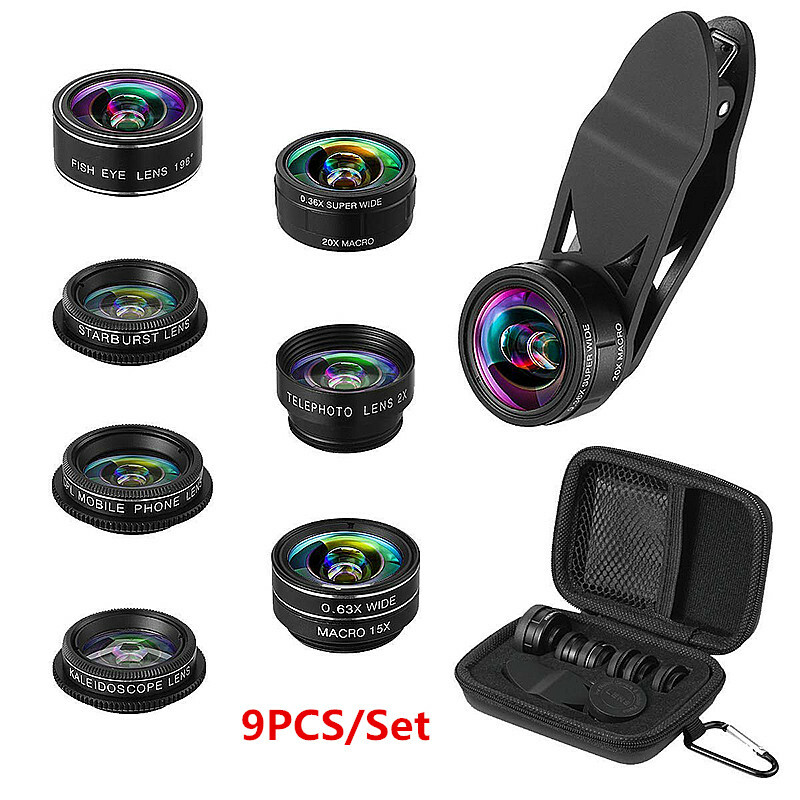 Successfully Added 9 in 1 Phone Camera Lens 2X Zoom Lens black to your Shopping Cart. Fisheye lens creates interesting circular images; the telephoto lens helps to take long-distance photos. The CPL lens reduces ambient reflections and produces beautiful colors; Starburst lenses and kaleidoscope lenses add New fun. Made of industrial grade aluminum and HD glass, allows you to take clear shots at close range or long distance. Suitable for iPhone 8 / 8Plus, iPhone 7, iPad, Samsung Galaxy S8, S7, S7 Edge, Note 7, HTC, Sony, Xiaomi, Huawei, etc.